We haven’t seen or heard much about Kingdom Hearts 3 and gamers have been waiting for it for a decade. If you can believe your eyes, publisher Square Enix just released brand new screenshots from Kingdom Hearts 3. Before you point it out, no, these are not the leaked images we’ve seen recently. Jason Katz, lead storyteller at Pixar Animation Studios, revealed they were working closely with Square Enix, entrusting the studio with the original movie assets to recreate characters and places to bring to consoles. “It takes time to establish trust and to understand what we can both collectively bring to the table,” said Jason. “Part of the Toy Story Universe is nostalgia, and that feeling of playing with toys when you were a kid,” he added. 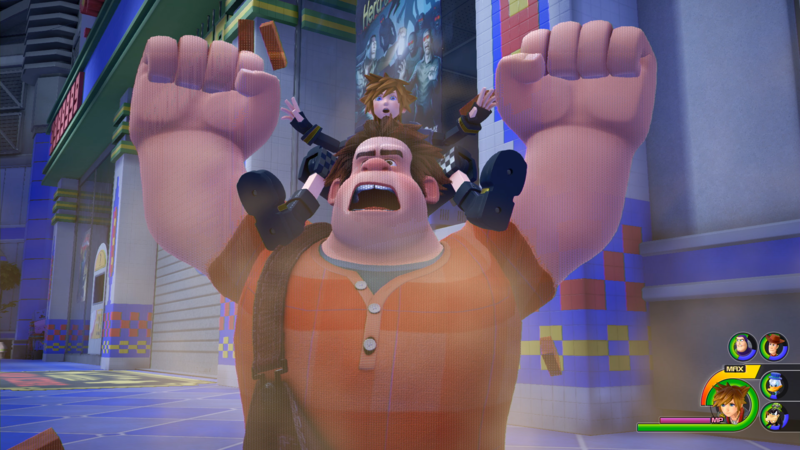 Kingdom Hearts 3 is in development for the PlayStation 4 and Xbox One. Sadly, we do not have a release date yet, albeit game director Tetsuya Nomura did confirm that a specific launch day is going to be uncovered early next month. Square Enix also did confirm (in its financial report) that the long-awaited title will be hitting stores some time this year.